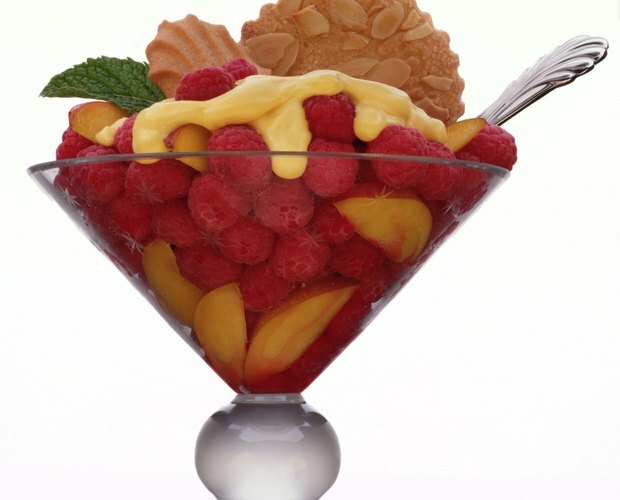 The United States has European cooks to thank for sweet custard. 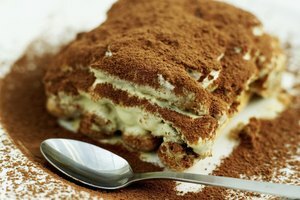 Enjoyed worldwide, custard has many variations -- the list of custard desserts is rather extensive. Many dessert-lovers occasionally get confused over which custard is which. Custard basically refers to any dish thickened with eggs. 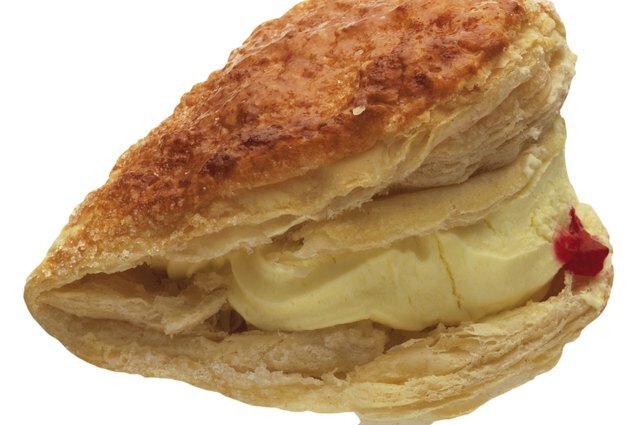 Pastry cream, often called Creme Patissiere, is a rich and creamy custard for filling eclairs and cream puffs. The word "custard" is derived from crustade, a tart with crust. 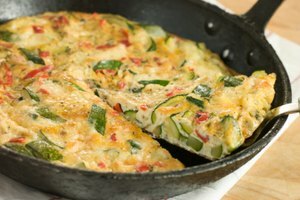 Any egg-thickened custard with crust can include a quiche, a pumpkin pie or a Boston cream pie and still be within the custard category. 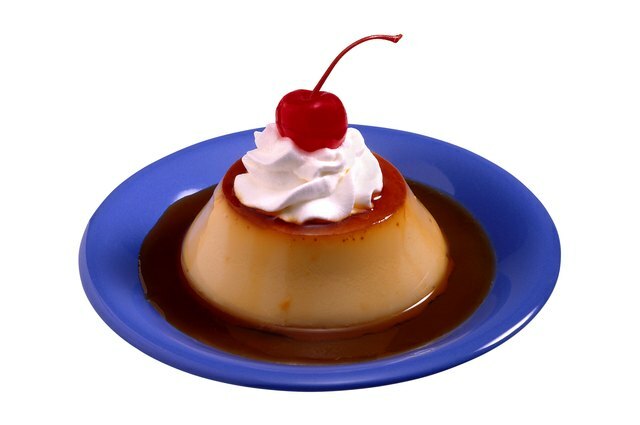 Over the years, custards in America have changed into more pudding-like textures. Banana cream pies have changed into banana puddings with wafers instead of crusts, for example. After the 16th century, custards were made in individual cups instead of inside crusts. 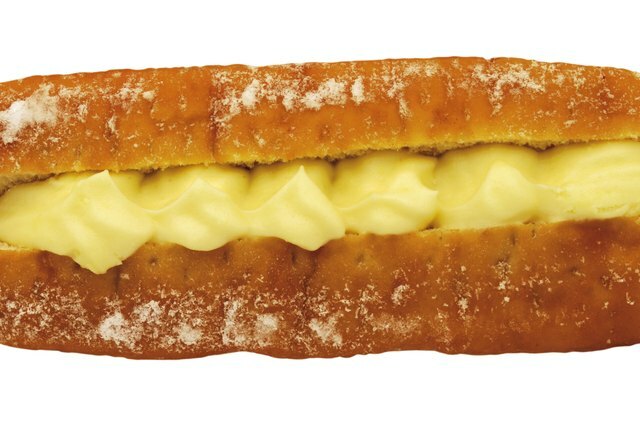 The earliest custard versions were baked and chilled before serving in little cups. Traditionally, the proportions for this custard is one whole egg to every five egg yolks for 2 1/2 to 3 cups of cream, according to PotsdeCreme.com. Pastry cream, technically classified as a filling, is a major staple in pastry kitchens. Used to fill tarts, cakes and Napoleons, pastry cream is usually vanilla in flavor, although it can also be lime, lemon or chocolate. 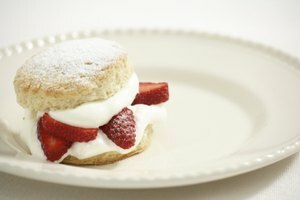 Pure vanilla extract is recommended for pastry cream recipes, as artificial vanilla flavorings often leave bitter aftertastes. Custard can be boiled to make a holiday dessert drink that resembles egg nog. 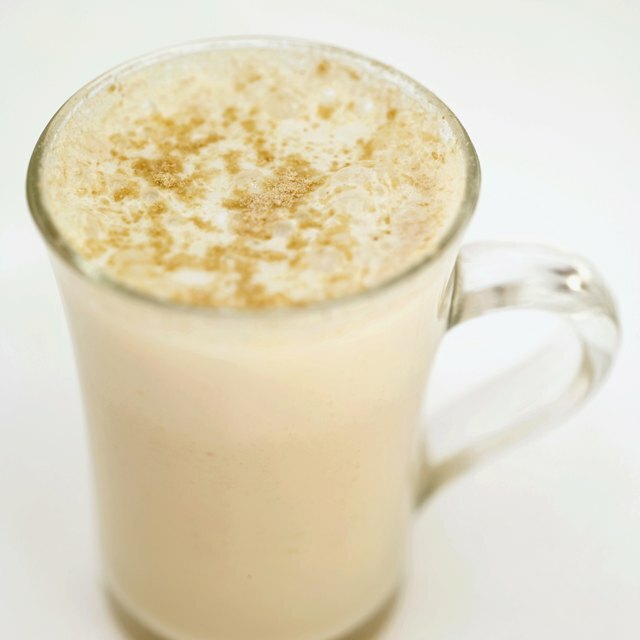 Egg nog often features eggs that are not cooked at all, whereas eggs in boiled custard drinks have been slightly tempered. Boiled custard features a thick consistency, allowing spoons to be used. Drinking, however, is the traditional way to enjoy the boiled custard dessert drink, which also includes milk, sugar, orange, nutmeg, vanilla, cinnamon, whipped cream and eggs. Cream-filled pastry festivals celebrating the flavor of the authentic Greek pastries are springing up everywhere. Springfield, Illinois, and San Diego, California, are two cities following the excitement and setting cream-filled pastry traditions. Grape leaves stuffed with rice and meat are food items available to visitors at these festivals but the cream-filled pastries are the focus of attention for dessert.